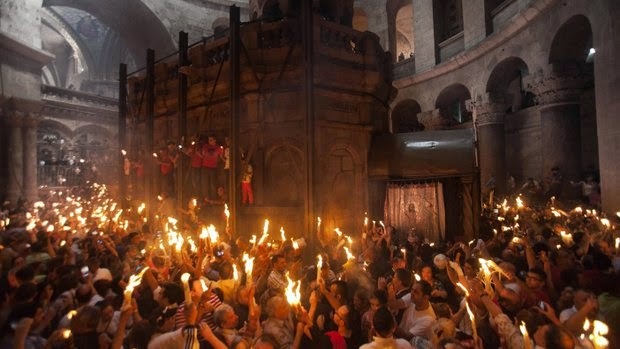 Today in Jerusalem the Holy Light, known in the West as Holy Fire, once again descended into the Tomb of Christ as Patriarch Theophilos of Jerusalem knelt in prayer within the Holy Sepulchre. With 33 candles in each hand he distributed the Holy Light to all the faithful, amidst great joy and celebration. From Jerusalem it will be distributed throughout the world.